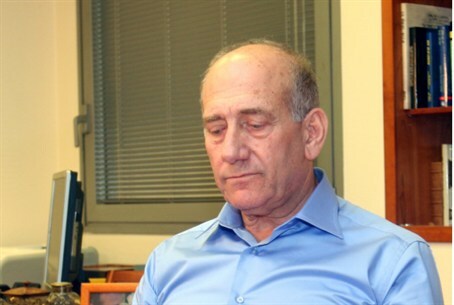 More charges against former PM Olmert are dropped. Advisor: the damage was already done. Deputy Attorney General Yehoshua Lamberger announced Tuesday that the state is dropping charges against former Prime Minister Ehud Olmert in a case in which Olmert allegedly made appointments for improper reasons while serving as Minister of Trade and Labor. Lamberger noted that the decision to drop the case should not be taken as approval of Olmert’s actions. One reason for the decision was the fact that Olmert will be unable to stand trial in the near future in any case, because he must first stand trial for multiple other corruption charges. Some of the other charges relate to the issues – fraud in the Labor Ministry – involved in the dropped charges, Lamberger noted. Olmert was already found guilty on one of three counts relating to a double-billing case, and is currently on trial for his alleged role in the Holyland scandal, in which he is accused of taking bribes and in exchange, pushing through a building project that violated city ordinances. Attorney General Moshe Lador has termed the Holyland Affair the largest corruption case in Israel’s history.